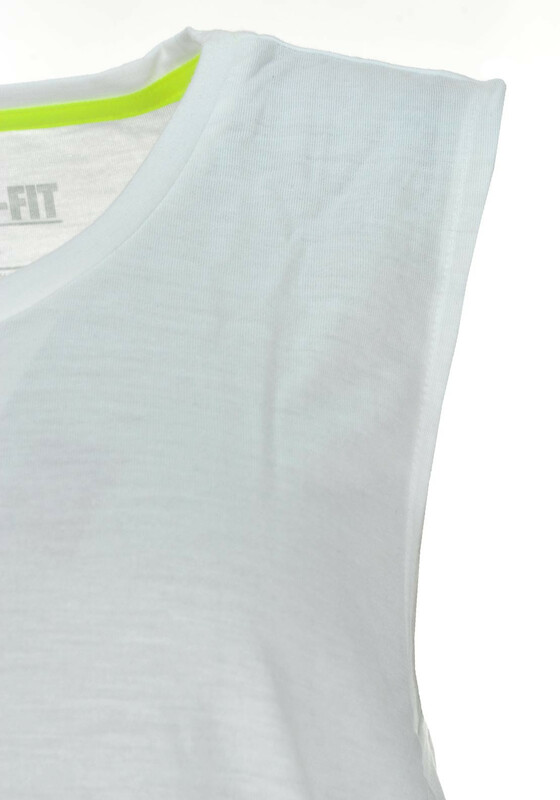 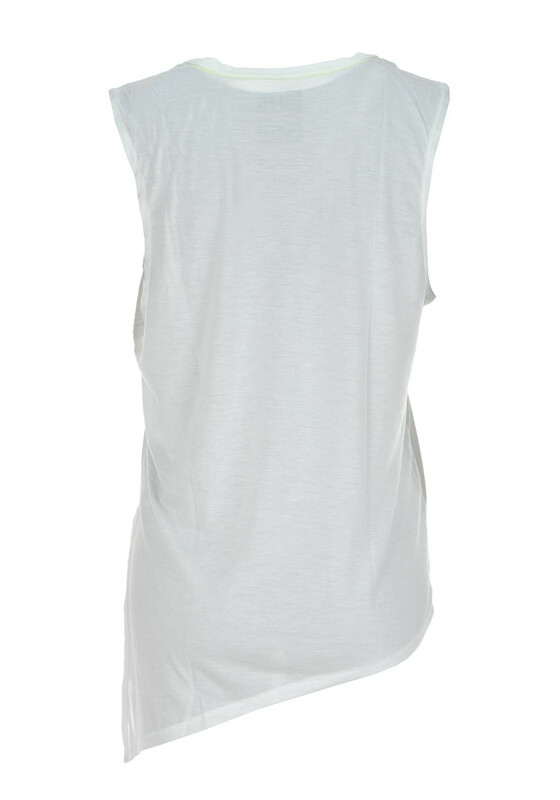 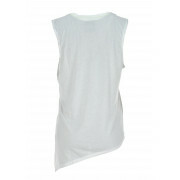 This stylish sleeveless top from Nike is the ultimate workout t-shirt in white. 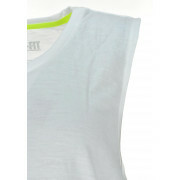 It is semi sheer with a side tie and will wick away sweat with their Dri-fit technology. 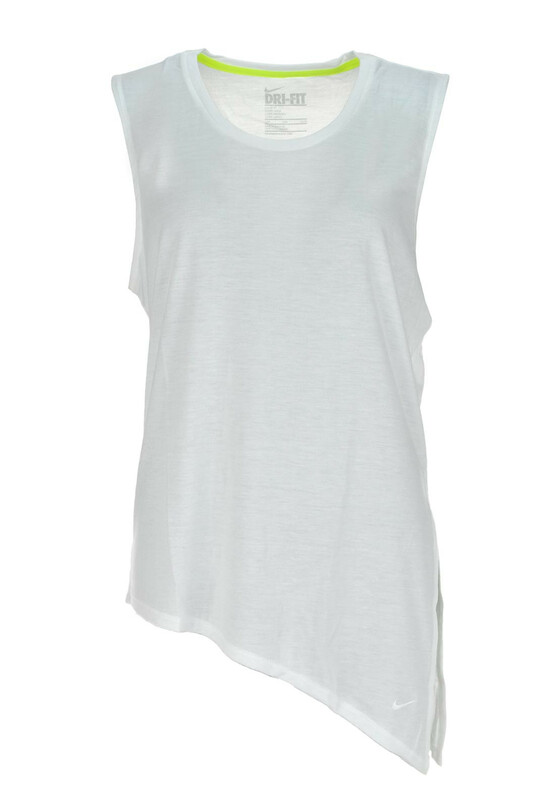 It has a soft touch and will look great over a training crop top and leggings.